Adds a cheat menu with 27 cheat options. 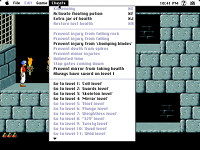 Version 1.0 was released on 23 June 1994 by Alex Metcalf. The above file is a disk image with uncompressed files, so you don't need a (BinHex or StuffIt) expander. 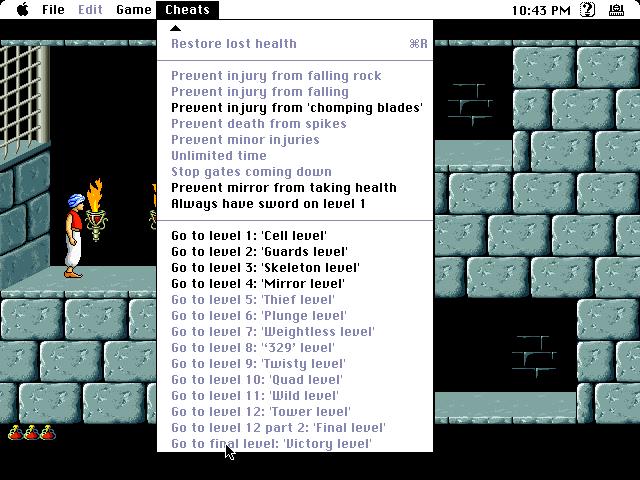 You will also need Prince of Persia 1 for Mac.